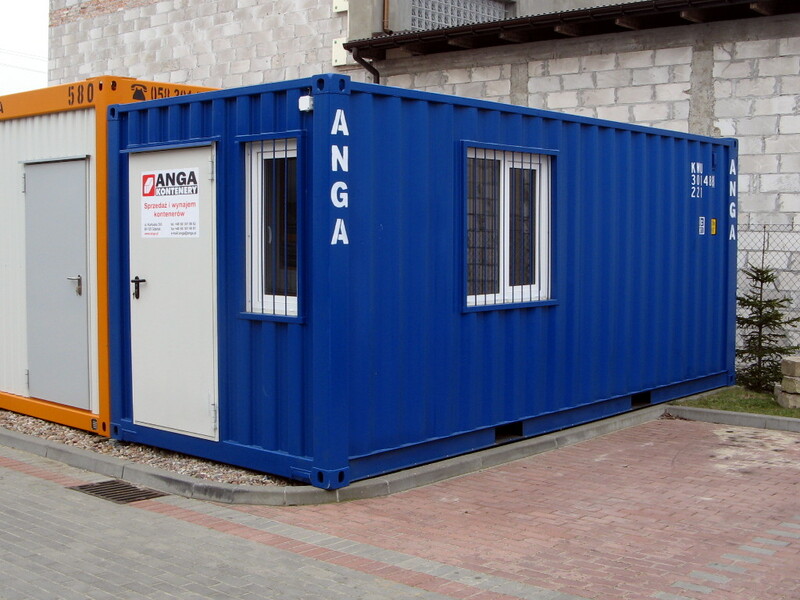 Storage and office container is a unique proposal of containers joining office and small warehouse functionalities. 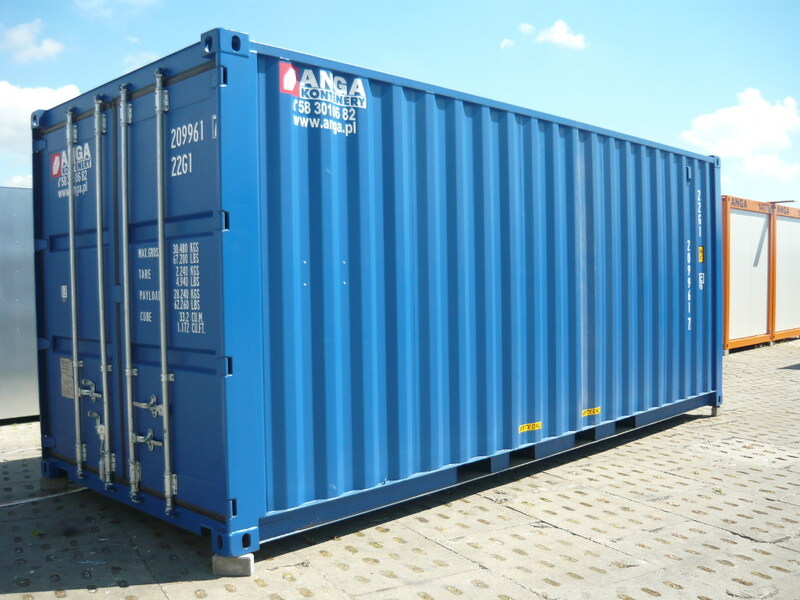 This container is based on sea container ISO 20' and it keeps all its advantages such as ease of transport, durable, heavy-duty structure and make in corrosion-resistant steel. 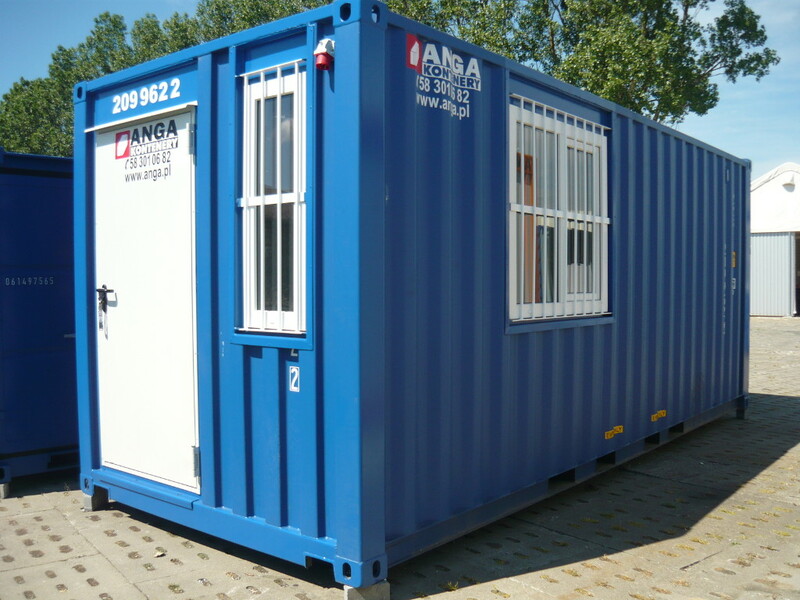 Thanks to these features storage and office container is perfect for many years of operation under difficult construction or industrial conditions. 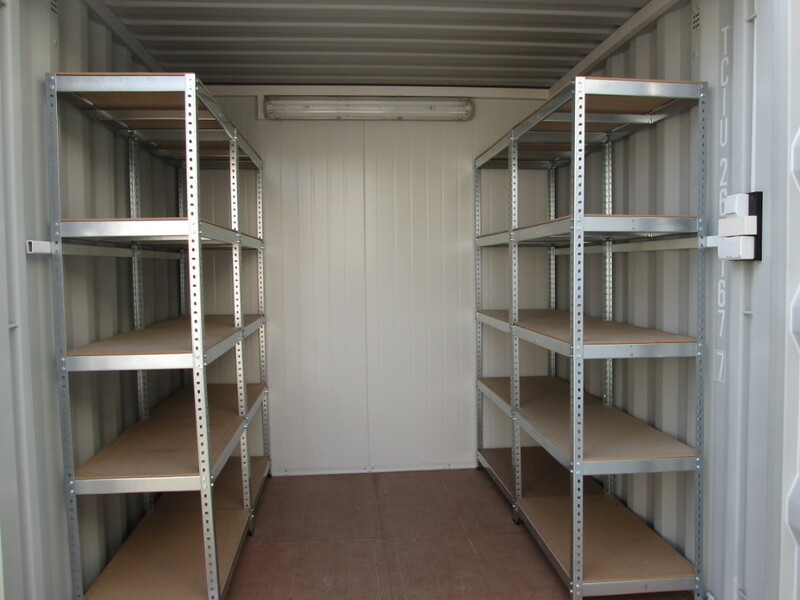 Storage and office container is divided into two rooms. 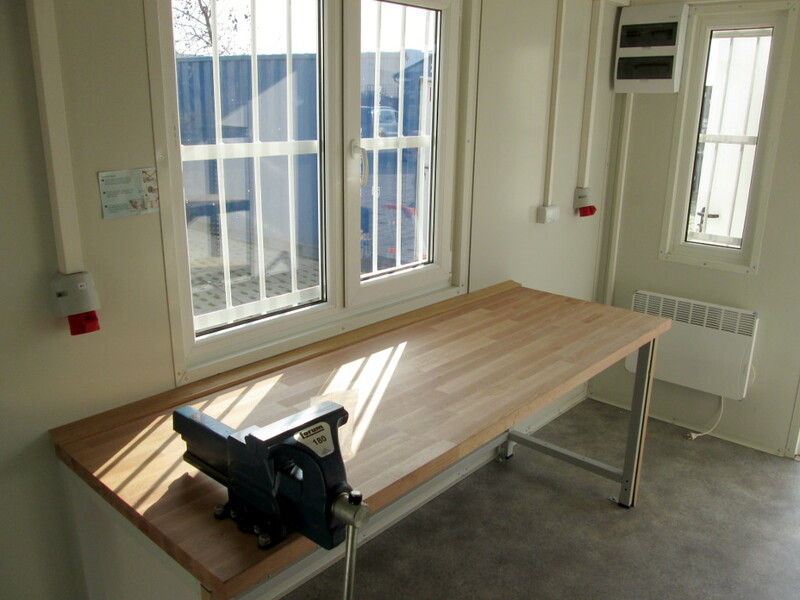 The larger, office part is equipped in two separate entries, two windows with bars, lightning and electrical heating. 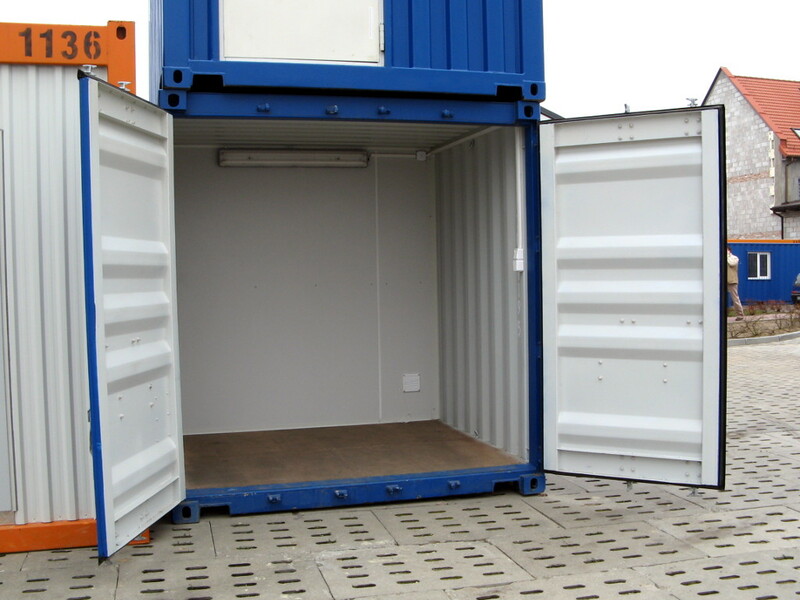 Double container doors provide easy access to the warehousing part. 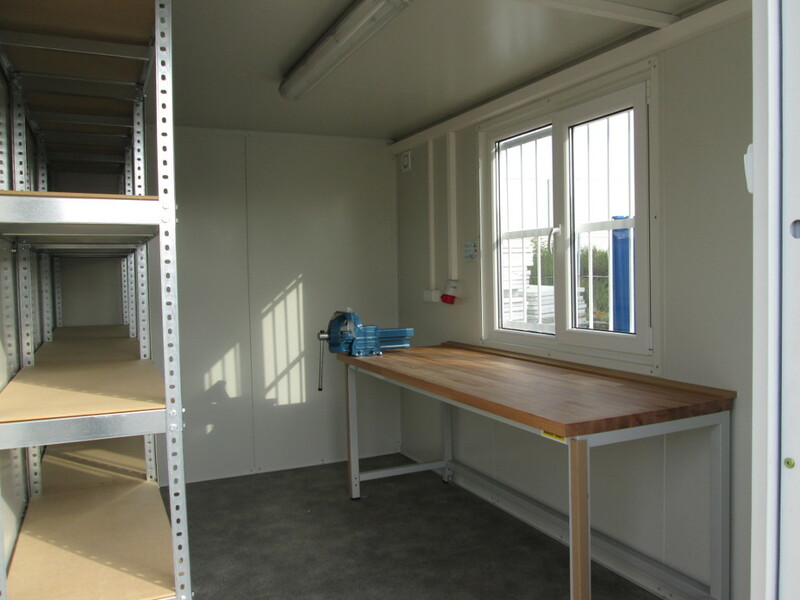 This rooms is also equipped in lighting system, electrical sockets and is perfectly suitable for safe storage of tools, machines, materials etc. 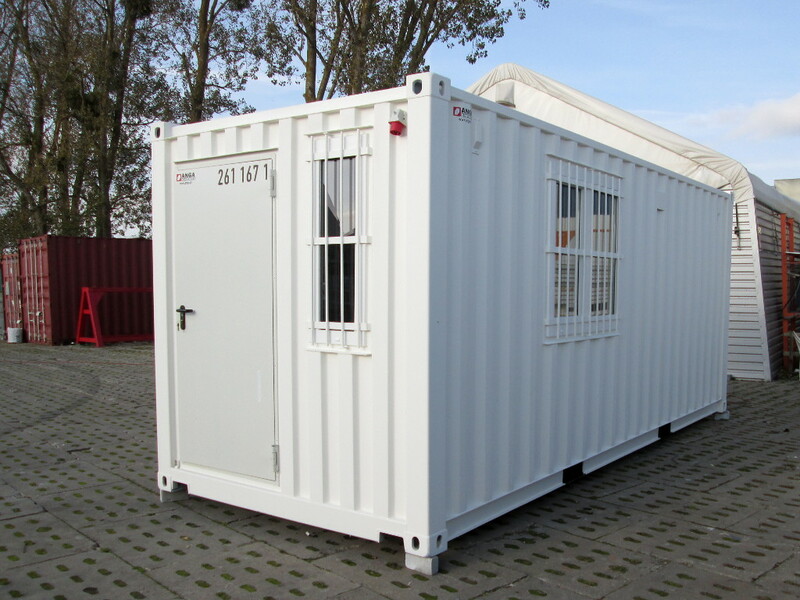 Storage and office container has the same dimensions as a standard ISO 20' sea container i.e. 6,058 x 2,438 x 2,591 mm (length x width x height). Usually warehouse take 1/3 of the surface area, and office the remaining 2/3. Upon request it is possible to divide the surface area in other proportions e.g. 1/2 warehouse and 1/2 office. 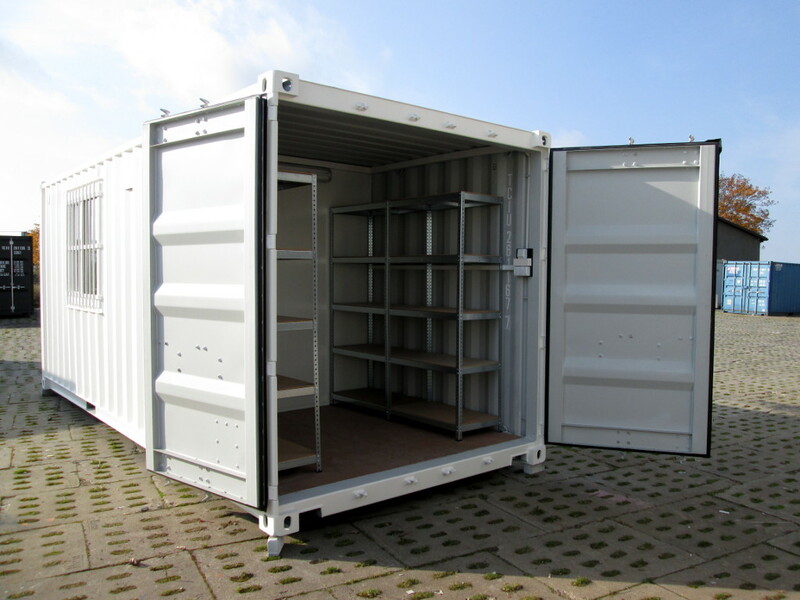 External container walls are made of tightly welded 1.5 mm sheet with increased resistance to corrosion. 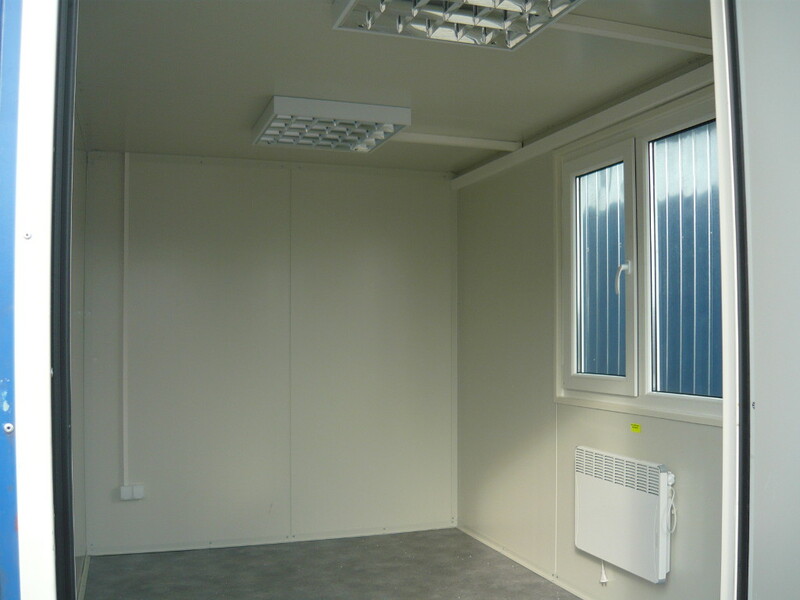 Internal walls of the office room are made of sandwich panels. 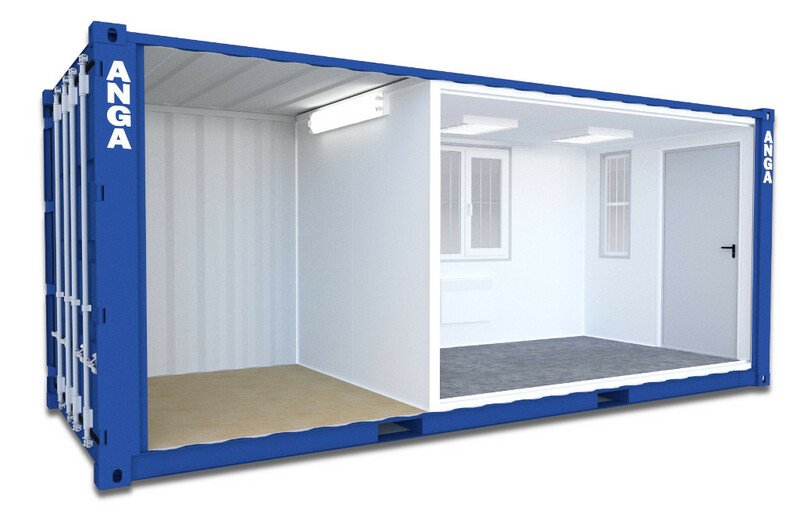 Office room walls may be insulated with Styrofoam of 75, 100 or 150 mm, or with 80 or 100 mm polyurethane. Roof insulation thickness is 100 mm and the hydroinsulated floor is also 100 mm thick.. 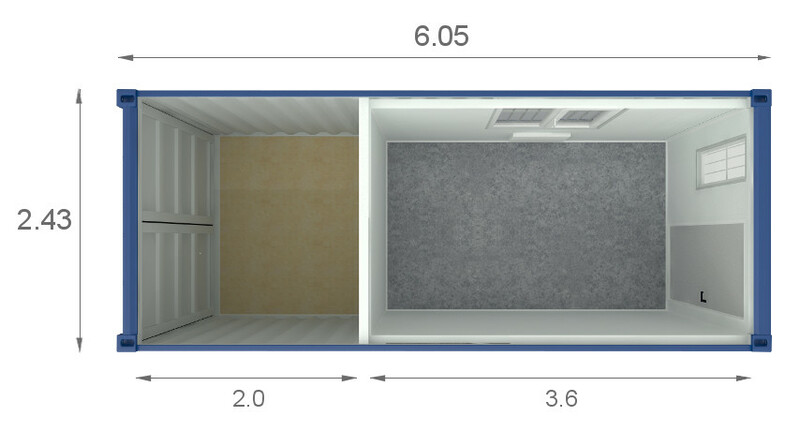 In office room – industrial fitted carpet of class 34/43, laid on OSB. In warehouse room – original container plywood. 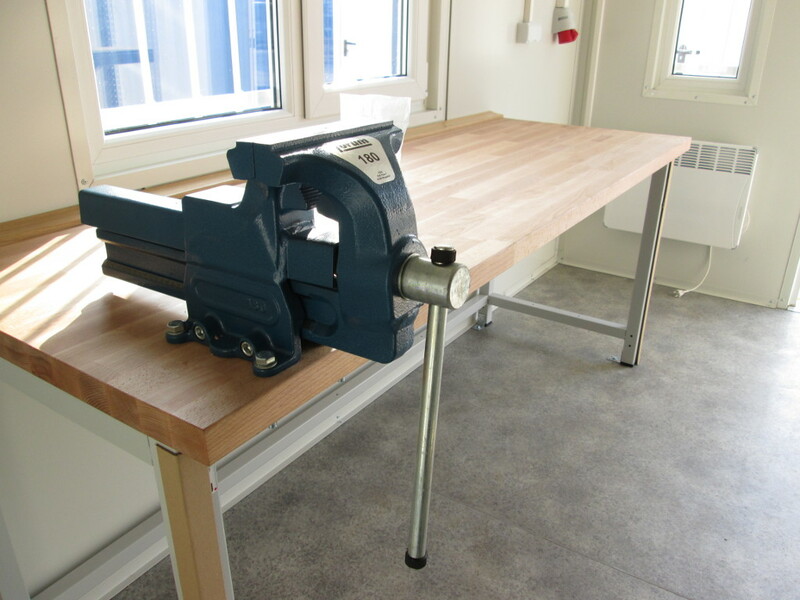 It is possible to equip the containers in workshop tables, steel racks, lockers etc. Electrical system, lightning, electrical radiators.